Handwriting activities are “all the rave” at our house right now. With my oldest going into 1st grade and our middle child starting Kindergarten, there’s a buzz of excitement in the air! So right now is the perfect time to get kids practicing letter writing. Whether it’s writing their name, tracing numbers, or developing their hand muscles through scissor cutting activities, these activities will provide hours of learning fun for your kids! 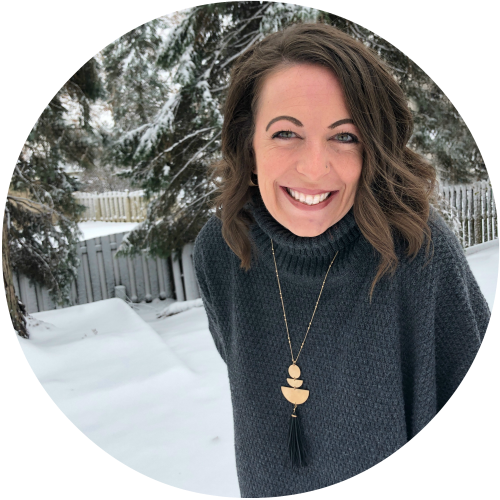 When I asked my Kid Blogger Network blogging girlfriends to share their posts for handwriting activities with me, I was delighted to see these wonderful activities that encourage writing at all ages… even young children through play and fine motor activities! Fine motor skills are tasks that utilize the small muscles of the body like those in the fingers. Examples of fine motor activities are: holding a cup, grasping a fork or spoon, stacking objects like blocks, putting small objects into a larger container, zipping, snapping and buttoning clothing, cutting with scissors, plus drawing and writing skills. Therefore, the pre-writing play activities are vital to learning good handwriting skills! To start, check out Pencil Grasp Development for Handwriting from Golden Reflections. This occupational therapist gives the scoop on proper pencil grasp and tips on how to help your child learn it! Dinosaur Activity Pack Printable from Makeovers & Motherhood. Dig up some prehistoric fun with this pack which not only contains great pre-writing activities, plus a writing page that helps with handwriting and reading/word recognition. Find and Write Letter Scavenger Hunt from Coffee Cups and Crayons. This scavenger hunt gets your kids moving and learning for some letter fun! HandWritingWorksheets.com. This site allows you to customize printable sheets for your child to practice writing. You can choose from two types of print styles or cursive and print for FREE! Monster Activity Pack Printable from Makeovers & Motherhood. This fine motor activity pack has a handwriting page lurking within to work on letter writing! Monsters University Handwriting Practice from 3 Boys and a Dog. Scare up some fun with Sully and these cute handwriting practice sheets. Tips for Teaching Cursive Writing from Real Life at Home. I was so intrigued reading how one school taught cursive before printing in kindergarten. Also, great tips on teaching your child the 3 basic hand movements for cursive writing. Water Painting Handwriting Practice from Coffee Cups and Crayons. This handwriting activity moves learning from the table to the sidewalk! 6 Pre-Writing Activities for Kids from Golden Reflections. These pre-writing lines, shapes, tracing, and task trays will get your little ones working on those fine motor skills. 12 Fun Handwriting Activities for Preschoolers from Golden Reflections. Helping your preschooler master pre-writing lines and strokes will help them to form letters of the alphabet. Beginner Connect the Dots for Preschoolers from Hands On: As We Grow. This connect the dots is great for those not quite reading their numbers yet and a way to get good writing practice in. Cursive and Print Letter Matching Duplo Blocks from Life with Moore Babies. Help your child recognize letters in cursive with this matching game! Form Drawing for Better Handwriting from Real Life at Home. Drawing straight lines and curves as “pictures” first is a great way to introduce the fine motor skills needed to form letters correctly. Fun With Working on Pre-Writing Skills from In the Playroom. Basic pre-writing shapes aid in both drawing and handwriting. Handwriting Practice for Kids: Big Rainbow Writing from Coffee Cups and Crayons. Kids trace a letter or number multiple times with different colors to create a rainbow. This activity takes it to the next level by making it BIG! Handwriting Practice with Dirt and Sticks from Coffee Cups and Crayons. Kids LOVE dirt! So why not add some learning to their dirt play with this pre-writing activity?! Kindergarten Cutting Activity from Makeovers & Motherhood. Cutting is an excellent activity for developing writing skills! And this activity provides not only cutting fun, but lots of creativity and play opportunities too! Practical Handwriting Practice: Kid-Made Cards from What We Do All Day. Give your kids some practical writing practice by creating cards for loved ones. Pre-Writing Practice from Craftulate. Line tracing is a great way to start even the littlest ones working on writing skills. Preschool Fine Motor Development Activity: Journal “Writing” from What We Do All Day. Journal keeping gives your child a sense of ownership over their “writing”… even if it’s just scribbles at first. Plus, what fun it is to see their progress (and have them see their progress) as their handwriting skills develop. Sandpaper-like letters DIY – Montessori on budget from Frog in a Pocket. Feeling the grainy texture of the sandpaper letters with fingers gives child a chance to learn motor pattern and proper way of writing each letter. Superhero Activity Pack from Makeovers & Motherhood. This printable pack is full of pre-writing activities to help your little one feel super! Tracing Numbers from Hands On: As We Grow. Jamie took the fun down to the floor with painter’s tape and markers as she worked with learning numbers and tracing with her kids. 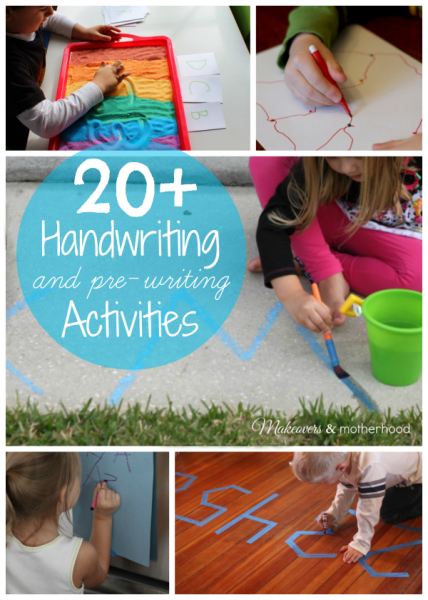 Your child will love their learning time with these great handwriting activities! Pencils up! Check these out! You and your child will be thrilled with all these wonderful learning through play resources! Love these handwriting ideas, thank you for sharing. Handwriting is a dying art and when I think about it I don't do much of it myself, so when I do go to write I have a brain lapse. If not at school I think parents should still keep teaching their children at home. it's sad that handwriting gets so much less focus now that keyboard are constantly at our fingertips. What happens when the power goes out? lol. Great activities. What an incredible index of writing activities! Thanks for bringing all these ideas together in one place! Thanks for sharing..they're very helpful..shared it to my friend who's trying to teach her 2 year old daughter to write. These are very helpful links and photos. Children need to be exposed to writing at home and be given prewriting activities just like you have provided prior to kindergarten and first grade. Thanks you so much. Thanks for sharing all the links! Looks like a fun activity!